It's cyborg jazz: half-human, half-melancholic robot, and utterly sublime. 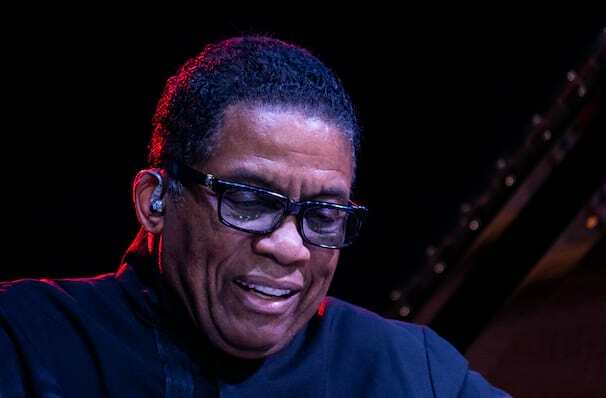 Herbie has spent his prolific career experimenting with various jazz forms, culminating in a bluesy, enigmatic and psychedelically-charged creative vision. Concert-goers can rest assured that Hancock still revisits masterpieces like Maiden Voyage and Cantaloupe Island with an inspiringly fresh feel. No two concerts, no two pieces are ever alike when it comes to this virtuoso! Sound good to you? 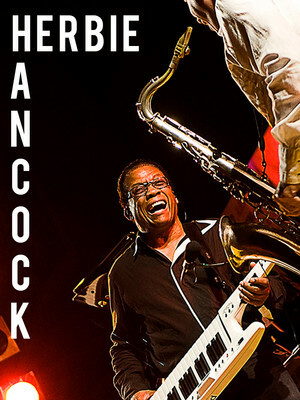 Share this page on social media and let your friends know about Herbie Hancock at Sony Centre for the Performing Arts. Please note: All prices are listed in US Dollars (USD). The term Sony Centre for the Performing Arts and/or Herbie Hancock as well as all associated graphics, logos, and/or other trademarks, tradenames or copyrights are the property of the Sony Centre for the Performing Arts and/or Herbie Hancock and are used herein for factual descriptive purposes only. We are in no way associated with or authorized by the Sony Centre for the Performing Arts and/or Herbie Hancock and neither that entity nor any of its affiliates have licensed or endorsed us to sell tickets, goods and or services in conjunction with their events.